2018 marks the anniversary of the publication of Mary Shelley’s Frankenstein – the novel first appeared in January 1818. 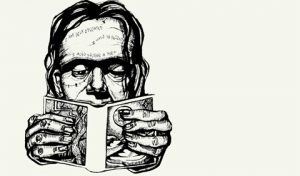 Join us for a special Frankenstein reading and screening at the fantastic Kampus Hybernská. You may also want to sign up for a short reading from Shelley’s timeless novel (Doodle link). Frankenreads (https://frankenreads.org/) is an international celebration of the 200th anniversary of Mary Shelley’s Frankenstein for Halloween 2018 organized by the Keats-Shelley Association of America.